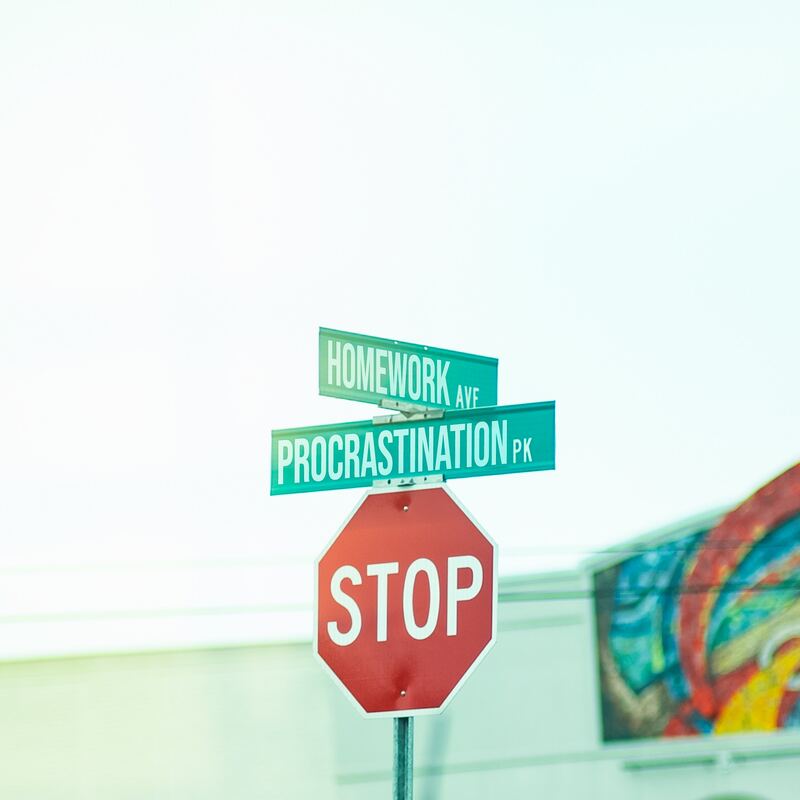 From time to time, we’re all guilty of procrastination. Sometimes, it’s in avoiding dull household chores like ironing work clothes, decluttering the hall cupboard, paying bills and washing the windows. Postponing healthy eating and exercise ‘til Monday. Delaying making that phone call. More often though, for chronic procrastinators, it’s the ‘big deal’ things we put off — like meeting critical deadlines, putting ourselves ‘out there’, changing careers and following our dreams. You know, the activities and tasks that require time, effort, commitment. The ones that put us at risk of ‘perceived’ pain, embarrassment or failure. And so rather than simply taking action, saying yes and getting things done, we find ourselves coming up with excuses as to why ‘now’ isn’t the right time. We instead scroll mindlessly through social media, check our inboxes, stare into the fridge or start another project — anything but that one thing we really should be doing. Or, we leave it ‘til the eleventh hour — when it becomes apparent that the consequence of not completing it at all is far greater than our fear that we can’t do it perfectly. The fact is, procrastination is not laziness. It’s actually a common ‘flight’ response to the perceived emotional or physical discomfort inherent in making potent changes in our work or life. Yep, procrastination is rooted in fear — a feeling that exists to protect us from pain, threat or injury. Which means, left unchecked, chronic procrastination can lead to missed opportunities, untapped potential, unfulfilled dreams — and a seemingly endless cycle of disappointment, anxiety, avoidance, and frustration. The good news is, procrastination is indeed a behavior you can change by removing or working through your limiting beliefs. Recognize any deep resistance to a task and become aware of your corresponding actions. Track how much you procrastinate and how productive you are throughout the day. Identify the patterns and the triggers. Also, take note of where your mind wanders when you are resisting doing something — it might just reveal what you’re truly passionate about. When you notice fear and resistance, acknowledge it — but don’t become attached to it. Then, change your inner language and remind yourself you have everything you need to achieve your goals or complete the task successfully. THERE: Get clear on your goals, purpose or ‘why’. Define the outcome or the end result and visualize what it will look like and how it will feel to reach it. Don’t get hung up on the enormity of the big picture — just break the process down into small, bite-sized but actionable steps. This will help you to stay on task for completing your desired outcome and avoid overwhelm and resistance. Writing a to-do list makes your goals seem tangible and gives you a sense of accomplishment (and the boost of confidence) as you progressively check off each of the items. What can you do, in this moment, to make progress? Commit to giving your full attention to the task at hand. Set yourself a certain amount of time to dedicate to the activity and if there’s a chance you’ll be distracted by something, remove it: social media, your inbox, TV, music, people around you. Taking inspired action is what it’s all about, baby. Even if it’s “before you’re ready”, just start. And if the endless pursuit of ‘perfection’ is your problem, remind yourself that there’s no such thing as the perfect time or perfect way of doing something. Dive in — more often than not, you’ll discover your fears were completely irrational. As a coach, it’s my job to connect you with your true self; to help you remove internal & external roadblocks, whilst building awareness around your identity, core needs, self-confidence and your life goals. I do this by getting to know you. By holding up a mirror to your internal beliefs & default thinking and by helping you unravel the challenges which have arisen in your life & to help you move forward. I help you look at life with a fresh perspective. To identify where you want to be, what’s holding you back and to then help you move forwards. I have always seen Growth and Development as vital parts of anyone’s health and happiness and also one of the most rewarding experiences we can all embrace.